Nineteen of the 20 Formula 1-inspired McLaren P1 cars set to be delivered to the UAE have already been sold ahead of its arrival in November. Local dealer Al Habtoor Motors has said it is hoping to increase its allocation to cater to the high demand. 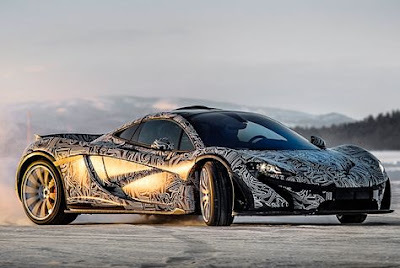 Debuted at the Paris Motor Show, the new McLaren P1 is the first electric hybrid of its kind and only 400 vehicles are being produced by the British carmaker, with just 20 allocated for shipping to the UAE in November. Only one car remains unsold, despite the car coming with a price tag of around $1.2m, but Karl Hamer, managing director of Al Habtoor Motors, which has local franchise rights for McLaren, said they are trying to get more vehicles towards the end of the year due to their high demand.